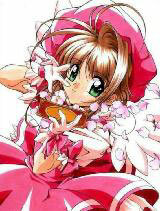 You are going to Watch Cardcaptor Sakura Episode 52 English dubbed online free episodes with HQ / high quality. Stream Anime Cardcaptor Sakura Episode 52 Online English dub Sakura’s Sheep Warning, Yue secretly confides with Kerberos that he has recently been losing his energy, and that Sakura’s powers alone aren’t enough to help him maintain himself; he adds that if his power disappears, both he and his alter ego Yukito, who is oblivious to this incident but growing increasingly aware of it, will fade from existence. Toya, who is aware of Yukito’s predicament, attempts to tell him the truth, but is once again interrupted by Nakuru, making it clear she is doing so on purpose. Meanwhile, Sakura’s attention is drawn to a large, deep hole in the middle of the playground. She is able to enter the hole, though her friends are not since it is sealed by Clow Reed’s magic. At the bottom of the hole, Sakura is buried under a pile of stuffed sheep. However, she converts the Erase card to obliterate the sheep.